This is our review of another Beachbody program. 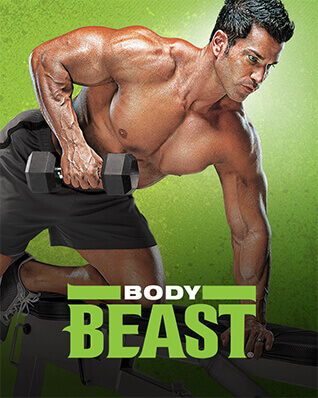 Body Beast promises to “burn fat get completely ripped in just 12 short weeks”. Well, let’s just start by analyzing this statement. NOBODY can get ripped like the program’s creator or the testimonials they show in their advertisement in 12 weeks. Perhaps with plastic surgery or some kind of body sculpturing process but definitely not by just working out. This borders false advertisement and definitely a get-fit-quick scheme. We tried the program for a couple of weeks and noticed that there is not too much science behind it. Single sets, circuit sets, super sets and giant sets of torturing weight lifting. Nothing out of the ordinary and a true old-fashioned and not scientifically designed program. You see gym-rats doing this in any gym in the world. 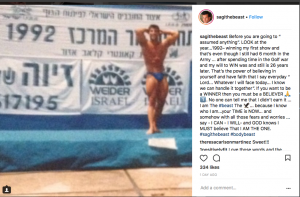 Sagi Kalev says that “bigger isn’t better, it’s the best”. Well, that probably held true 26 years ago when he won several competitions and apparently became a professional body builder, but definitely not in 2018. Today, lean, fit is the new “best” as he calls it. We also question the fact that he promises in his advertisements and website that you only need 30-minutes a day. Although he does not say it, it is implied that he is saying that in 30-minutes per day, for 12 weeks, you will have a body like his. That is truly false advertisement. Sagi Kalev claims that it took him 28 years to get to the shape he is in. How can he claim that you can get like that in 12-weeks? 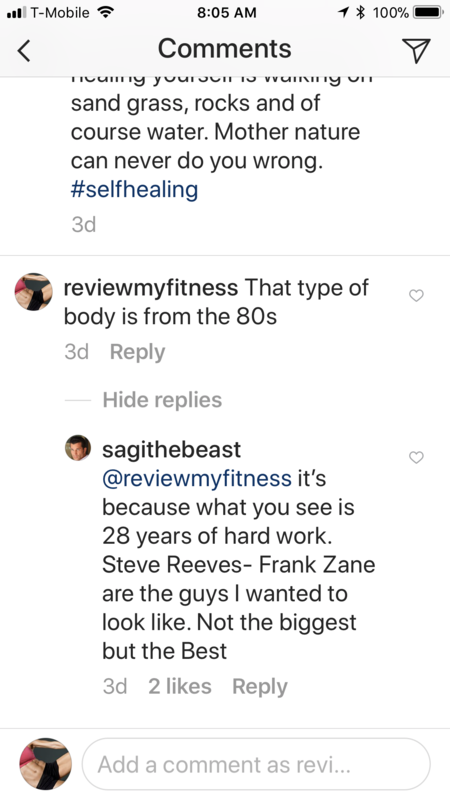 Sagi, told us via Instagram that it took him 28 years to get in the shape he is in. We believe that. With what he said, we will assume that it was only hard work and at least 4 to 5 hours a day at a gym and not heavy dosages of anabolic steroids. So, the promise of getting in a shape like his in 12-weeks is false. Dynamic Set Training is apparently the system that Sagi claims to have created. He claims that, his method is not something that you read or find anywhere else. Perhaps that has to do with the fact that it is not proven or scientifically developed. We can’t find any references that lead us to believe that Sagi went to college or has received any formal education. Other than military training which is obligatory at the age of 18 in Israel (where he is from), we can’t find any education records. Progressive weight training has been in existence for many years and it works if you want to develop large muscles by “injuring” your muscles (tearing and repairing). However, that method requires a large amount of protein to be consumed to be successful. Many old-fashioned body builders also ingest steroids and illegal substances to help grow muscles. That is dangerous, and the side effects of a heavy protein diet and steroids are too many to mention here. The program contains 12 training workouts. Our guess is that these videos were filmed at least 12 years ago. The methods are old, not very smart. The Body Beast Eating Plan is complicated. Each meal requires at least an hour of preparation and it is unrealistic for a busy person. Very similar to other Beachbody meal plans. Difficult, time consuming and not practical recipes. Based on the fact that the program is old-fashioned, not smart and the creator has no formal education, we give this program a 2-star rating. We are generous with 2 stars because his program is not a cardio or HIIT program. BUT, a huge warning to all our followers, programs like Body Beast can cause severe and permanent injuries.